Zero Tolerance Laws research papers examine the laws created with the intention of preventing certain crimes to be carried out. 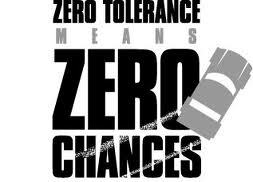 Zero tolerance laws are laws that are created with the intention of preventing certain crimes to be carried out. Criminal justice classes often require students to write research on these types of laws because they are very controversial. If you need help with writing a research paper for your law class on zero tolerance laws, contact Paper Masters today. Zero tolerance laws state that there is an automatic punishment handed out to anyone who breaks particular rules or laws. Zero tolerance laws prevent governing bodies or authorities from using their own judgment to decide appropriate punishment for the crime. Zero tolerance laws outline the predetermined consequence in the hopes of dissuading those who might consider breaking the law. They do not always require a severe punishment. The United States has a Zero Tolerance stance on narcotic drugs. This stance was adopted as a part of the War on Drugs under Reagan and George H.W. Bush. The United States also has a zero tolerance stance on driving under the influence of alcohol, although some countries have more strict zero tolerance laws in this area. Zero tolerance policies are common in education and the workplace. They are common in reference to sexual harassment, non-adherence to company policy, Internet misuse and bullying. Many schools have zero tolerance policies pertaining to bullying, weapons, and bringing drugs to school. Many times these actions lead to suspension or expulsion. The same consequence is handed down no matter the severity of the infraction. For instance a student brining a butter knife to school will receive the same consequence as a child bringing a switchblade to school. There is little scientific evidence to support the overall effectiveness of zero tolerance laws preventing inappropriate or criminal behavior. Some argue that Zero Tolerance laws can be too strict with their “one size fits all” methodology. If citizens, employees, or students feel that the consequence is too strict for a particular behavior they are less likely to report the behavior to an authority. Others argue that people living in neighborhoods, working in companies, or work in schools with zero tolerance laws or policies see the effectiveness of these types of law and a decrease in non-desirable behaviors. Zero Tolerance Policy essays look into the zero-tolerance policies adopted in many American Schools. Proposing Solution on DUI Statistics Research Papers delve into a sample of an order placed for an essay that would like you to propose a solution to a problem. Bullying research papers examine a part of school violence. Order a research paper on bullying from Paper Masters. Alcohol and Crime Research Papers - Driving under the influence of alcohol is one of the most common crimes related to alcohol. Paper Masters writes custom research papers on Zero Tolerance Laws which examine the laws created with the intention of preventing certain crimes to be carried out.